As a result of our researches on the wire line transmission of low frequencies AC signals, the LEFSON RCA-X line of analog interconnect cables is composed of five models : RCA-X1 to RCA-X5. Designed for audiophile people and professionals of sound, the LEFSON RCA-X modulation cables reveal the true potential of the devices they are connected to. 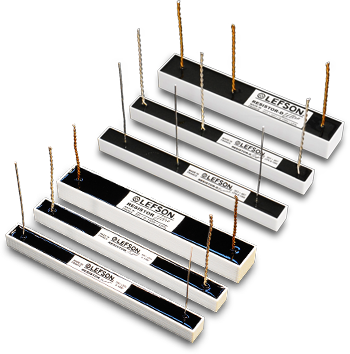 The audio resistors LEFSON RESISTOR and LEFSON RESISTOR-D (dual) are very high performance pure silver / carbon audio resistors. They are made of a pure graphite resistive element and pure silver leads. 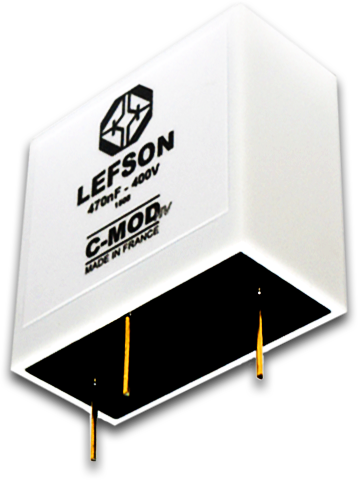 Suitable for speaker crossover or Emitter/Source resistor of transistors in preamplifier/amplifier, the LEFSON RESISTOR and LEFSON RESISTOR-D are pushing up the limits of sound reproduction. 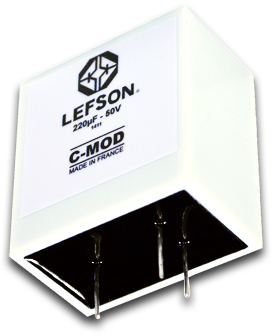 As all other products of the LEFSON trademark, hand assembly and electric tests are made in our workshop in Northern France. 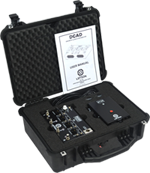 The Lefson DCAD, can be used as SPLITTER (for instrument, microphone, line, or speaker), MULTI-REAMPER, or classical DIRECT INPUT BOX.